Kami memromosikan kopi Provinsi Sumatera Utara, Indonesia. We promote the coffee of North Sumatra Province, Indonesia. Sebanyak 32 Mahasiswa Nommensen Medan diberangkatkan ke Korea Selatan dan Taiwan dalam rangka International Student Exchange (ISE, Pertukaran Mahasiswa Internasional). Mereka akan kuliah selama 1 (satu) semester di berbagai perguruan tinggi terkenal di Taiwan dan Korea Selatan. Mereka merupakan mahasiswa dari Fakultas Ekonomi, Hukum, Teknik, dan Keguruan dan Ilmu Pendidikan. Mereka merupakan Angkatan V dan VI. Program ISE telah dilaksanakan oleh Nommensen sejak tahun 2015, dan akan terus menerus berlangsung setiap tahunnya. 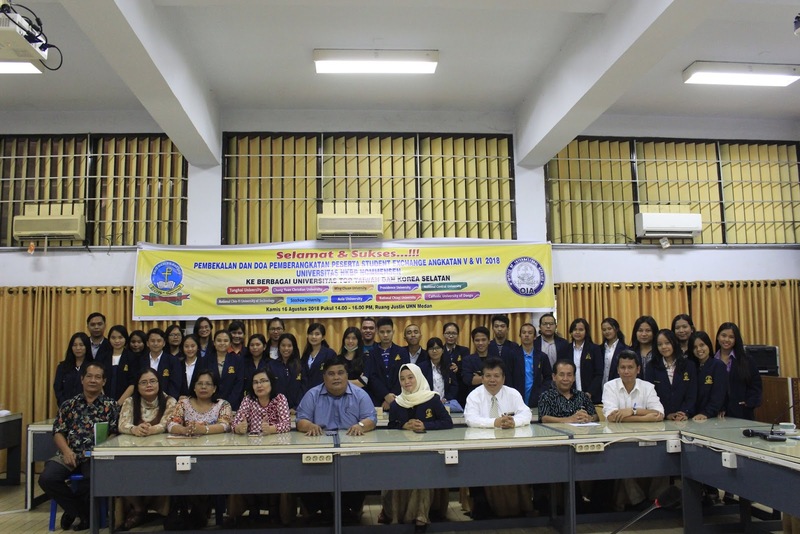 Mari kuliah di Universitas HKBP Nommensen, Medan. Most popular post. Pos terpopuler. For people who live outside of Indonesia, MINIMUM ORDER for EXPORT is 1 kg. It will be sended through Air Cargo. Buy 21 kg, then TOTAL shipping cost is around US$ 325-425, and buy less than 2 kg then the shipping cost is around 60-100 per kg which depends on your country. SENDING through Air Cargo TO YOUR HOME at YOUR COUNTRY. - Mindestbestellmenge fuer Export is 1 kg.Es wird durch Air Cargo gesendet werden.Kaufen 21 kg, dann TOTAL Versandkosten betraeg rund US$ 325-425, und kaufen weniger als 2 kg dann die Versandkosten ist etwa US$ 60-100 pro kg, die abhaengig von Ihrem Land.Senden durch Air cargo zu Ihrem Hause in Ihrem Landes. Der Gewind wind verwendet, um Kaffeebauern zu helfen. Berikut ini adalah nama-nama pembeli kopi saya. The followings are the name of buyers of my coffee. *** What is Civet Coffee? You must have ever heard Luwak Coffee or Civet Coffee or Kopi Luwak. You also must have ever drunk it, otherwise try to drink it. What is Kopi Luwak? Kopi Luwak is Indonesian word. Translation is Luwak Coffee or Civet Coffee. How is it produced? Animal called civet (Paradoxurus hermaphrodites) eat the red coffee fruits for fleshy part of fruit (mesocarp), and then swallow it. In the civet stomach, enzyme penetrate the coffee bean in order to make peptide shorter and to free amino acids. The shape of coffee bean is maintened. The coffee beans come out the civet stomach in form of compact aggregation, not in each bean separately. These aggregate will then be gathered by people, washed, dried under sunligt, hulled, roasted and made in form of powder (ground coffee). Regards aleale. Herewith I may inform you that the U.S. Food and Drugs Administration (FDA) has provided confirmation today 27 December 2012 that the Goldenways Coffee has been registered at FDA. Goldenways Coffee belonging to me is a small company underwhich I send the coffee (roasted coffee bean and ground coffee) to the USA and other countries including Indonesia. My representative in North America is Mr. Ranap Siagian. We provide the world's best tasty, healthy and fragrance coffee to you. The profit will be used to help poor farmers of coffee through program of coffee development that is pro-environmet, pro-growth and pro-poor farmers of coffee. Wish us luck. In this training session, I (Sabam Malau) inspired the coffee farmers about productive coffee value chain. I will be working closely with them in their village Sipituhuta Pandumaan, Humbang Hasundutan Regency, North Sumatera Province, Indonesia. Training "Credit Union Training and Agriculture, Animal Husbandry and Fisheries Organic" on 4-5 August 2013 in Pematangsiantar. This training was held by HKBP Church through the Department of Community Development (Pengmas) HKBP. Rev. Rein Justin Gultom stamped the my investment book which records my investment (portofolio) to the HKBP Elsira Cooperative. I am member of this cooperative. Cupping Day at my Cupping Lab. To Taste, test and explore the difference and the unique of 16 coffee variant of Arabica, Robusta and Luwak from 9 origins (Regencies) at North Sumatra Province of Indonesia. Participants were Sabam Malau (me), Djohan (Repvblik Coffee, Kopi Ong), Surya (coffee trader), Tonggo Simangunsong (MedanBisnis Daily), Oberlin Sihombing (coffee lover). Hari Uji Cita Rasa Kopi di Laboratorium Uji Cita Rasa Kopi milik saya. Mencicipi, menguji dan mencari perbedaan dan keunikan dari 16 varian kopi Arabica, Robusta dan Luwak dari 9 Kabupaten (orogin) di Provinsi Sumatera Utara. Peserta adalah Samab Malau (saya), Djohan (Repvblik Coffee, Kopi Ong), Surya (pedagang kopi), Tonggo Simangunsong (Harian Medan Bisnis), dan Oberlin Sihombing (Penikmat Kopi). *** What is PEABERRY Civet Coffee? PEABERRY Civet Coffee is peaberry that produced by civet (luwak). Peaberry is very special not only because it was produced rarely at coffee plant but also because it has been selected carefully. Normally, one cherry develops two halves bean which form are flat. However, sometimes one cherry develops only one bean which is oval or pea-shaped. This is called Peaberry. From my experience, only around 4% of all beans harvested are Peaberry (Caracole). Worker has to select peaberries carefully from lots of civet coffee bean. It makes peaberry civet has optimal quality. In roasting, peaberry has more chance to receive optimal roast because it rolls on roasting chamber. In flavor and taste, does peaberry civet coffee has its own interesting attributes? My answer : Yes. You need to drink it, and find the answer. Harga Kopi Sekarang Ini Harga kopi bisa berfluktuasi tergantung kepada banyak hal seperti harga kopi dunia dan keterediaan pasokan untuk kebutuhan lokal. Harga kopi dunia bisa turun tetapi harga kopi di pasar lokal bisa naik.